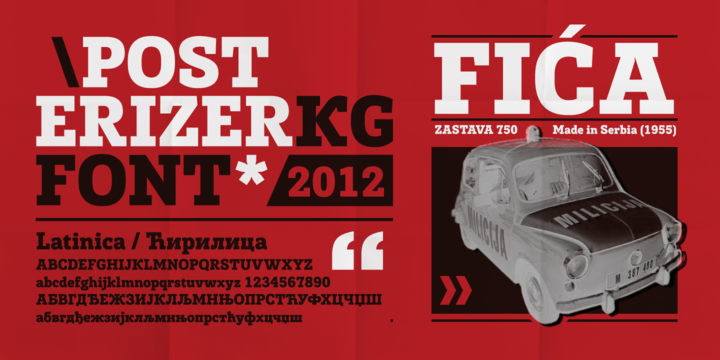 Posterizer KG is a typeface created by Lazar Dimitijevic and published by Posterizer KG. This font inspired by machine-made letters, can be use for posters, headlines, visual identities and short text. A font description published on Wednesday, October 17th, 2012 in Fonts, Posterizer KG by Alexandra that has 3,776 views.